Dr. Robert Lens was born and raised in South Florida. He graduated dental school in 1985. During the last year of college, he dual enrolled in dental school, finishing his last year in college during the first year in dental school. In dental school, he was in an accelerated program, with no vacations between semesters and was able to finish his full dental training in a little more than 3 years. Dr. Robert Lens has been in practice for over 22 years. He has practiced in Dade, Broward, Palm Beach, Martin, and St. Lucie counties in a variety of offices. In Broward, he practiced with his sister, Dr. Elizabeth Lens, also a general dentist, in their Pompano Beach office for over 14 years. Dr. Robert Lens enjoys continuing his education and applying that knowledge in his practice. He tends to take courses that are not only challenging, but teach him new procedures and techniques. Some of the studies concern areas which many dentists refer out to specialists; advanced endodontics procedures (root canal related procedures), periodontal procedures (gum related, including surgery), cosmetic procedures (studying with some of the same cosmetic dentists you see on television), and implants (including the surgical portion of implants). Dr. Robert Lens is a member of the American Dental Implant Association and has attained Fellowship status. Dr. Robert Lens has trained with Oral/MaxilloFacial surgeons and Director of the Residency Training Program from the University of Miami. He will be receiving additional surgical training in sinus lift procedures, including hands-on training. Dr Lens will travel abroad to offer his services in areas that don't receive adequate dental care. On the personal side, Robert is an accomplished musician and enjoys numerous hobbies that mostly deal with technology. While in college he taught music, performed music professionally, and repaired musical instruments. Even after graduation, he continued to perform music and now enjoys building and modifying computers. In fact, Dr. Robert Lens installed and maintains most of the technology at Advanced Smile Institute. 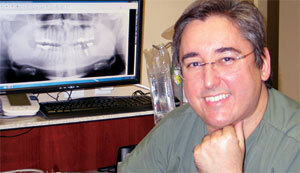 Dr. Robert Lens currently has his dental practice in Port Saint Lucie, Florida. He previously practiced his dentistry in Palm City. If you are a resident in the Treasure Coast and would like to schedule a consultation, please contact us now! For more information or to schedule a complimentary consultation, please contact us now.